Marketing & New Ventures Division increased marketed NGL sales volumes by two percent to 201 mboe/d in the fourth quarter over the comparable period in 2017 and generated quarterly operating margin of $121 million, a 27 percent decrease over the comparable period in 2017. The decrease in operating margin in the fourth quarter was due to the lower margins on commodity sales as a result of lower crude oil and NGL market prices compared to the same period in 2017, combined with increased market-based intercompany fees, offset by the swing to a realized gain on commodity-related derivative financial instruments, compared to the realized loss in the same period of 2017. On a full year basis, operating margin was $468 million in 2018 compared to $369 million in 2017. This increase was the result of the full year contribution from the equity accounted investment in Aux Sable. 2018 was truly remarkable for Pembina. We strengthened our financial and operational performance, driven by our diverse and strategically-located assets, strong customer contracts, and the dedication and creativity of our customers and employees. Over this past year, we continued to secure new business, pursued growth projects, operated safely and reliably and further enhanced our already strong relationships with the communities where we live, work and play. In 2018, we announced the next evolution in Pembina's corporate strategy - the move towards accessing global markets. Pembina is committed to identifying additional opportunities to connect hydrocarbon production to new demand locations through the development of infrastructure that would extend our service offering further along the hydrocarbon value chain. These new developments will contribute to ensuring that hydrocarbons produced in the Western Canadian Sedimentary Basin and the other basins where Pembina operates can reach the highest value markets throughout the world. Our recently approved PDH/PP Facility, the Prince Rupert LPG Export Terminal, currently under construction, and our proposed Jordan Cove LNG project are examples of such developments. The most notable financial achievement over the past year was exceeding the high end of our original 2018 guidance range with Adjusted EBITDA of $2,835 million, seven percent higher than the mid-point of the original range. Contributing to this record-breaking Adjusted EBITDA was the full-year contribution from the greater than $10 billionincrease in assets from the Veresen Acquisition and new assets placed into service following the execution of our large-scale capital program completed in 2017. The Veresen Acquisition was transformational for Pembina and we are pleased with how well the integration of staff and systems went. Bringing together two large and different organizations comes with a wide range of risks and yet, through the diligent management of our integration team, we are realizing the strategic and financial benefits of the combination. Along with record Adjusted EBITDA, our 2018 adjusted cash flow from operating activities per common share of $4.27also was an all-time high. Notably, when comparing where we are now, to where we were ten years ago, we have grown volumes by 180 percent, cash flow per share by 171 percent, and the dividend by 50 percent. Over the same 10-year period, shareholders have realized a total return of about 380 percent, or 17 percent per year, assuming reinvestment of their dividends. Our steady and growing dividend is one of the strongest ways we demonstrate our ongoing commitment to shareholders. We have always worked hard to ensure our ability to pay a competitive dividend and the 5.6 percent dividend increase in 2018 represents our seventh consecutive annual increase. Since our inception, Pembina has returned over $6.9 billion to our shareholders and the dividend has never been reduced. Ensuring Pembina continues to deliver a sustainable and growing dividend to shareholders remains a top priority. Continuing our dividend track record while growing the business requires a strong commitment to prudent financial management, something that has always been fundamental to Pembina. As the Company has grown we have also improved the risk profile of the business and strengthened our financial guardrails. We have increased the percentage of our Adjusted EBITDA that comes from fee-based business and our dividend is fully supported by these fee-based cash flows, meaning Pembina is not reliant on the commodity exposed part of our business to fund the dividend. In addition, Pembina has a very strong balance sheet, low payout ratio and expects to fund our near-term capital program without the need for external equity. In 2018, we placed approximately $900 million of projects into service, including the Phase IV and V expansions of the Peace Pipeline system, Veresen Midstream's North Central Liquids Hub and Saturn II gas plant, cavern developments as well as several other value-added capital projects. We also secured over $1.8 billion of new capital projects including the Phase VI and VII Peace Pipeline expansions, Hythe Developments and Duvernay III. Consistent with Pembina'sguardrails, these projects are underpinned by long-term fee-based contracts that will generate incremental secure and predictable cash flow to support the stability and growth of the dividend. With new projects placed into service in 2018, we announced an Adjusted EBITDA guidance range of $2.8 to $3.0 billion and a $1.6 billion capital program for 2019. We are entering the new year with positive momentum and already in 2019 Pembina has secured the $500 millionPhase VIII Peace Pipeline expansion and through our joint venture, Canada Kuwait Petrochemical Corporation, approved development of a $4.5 billion ($2.5 billion net to Pembina) integrated PDH/PP Facility. The prospects for future growth, both within the base business and further extensions of our value chain, remain robust. We are as rich in growth opportunities as we have ever been, which is a testament to both the resiliency and creativity of our customers and the underlying attractiveness of the Western Canadian Sedimentary Basin. We look forward to the year ahead and are optimistic, confident and excited to continue 'Building Something Extraordinary'. Development continues on the previously announced NEBC Montney Infrastructure in proximity to the Company's Birch Terminal. This new infrastructure is anticipated to be in service in Q3 2019. The previously announced Redwater co-generation facility is trending under budget and is expected to be placed into service in the first quarter of 2019. Pembina continues to progress its proposed Jordan Cove LNG project that will transport natural gas from the Malin Hub in southern Oregon to an export terminal. The Company has received a Notice of Schedule that indicates FERC will provide a decision not later than November 2019. Pembina continues to work with various state and other agencies to progress the project on a similar time line. In addition, as previously disclosed, the Company executed non-binding off-take agreements, for a total of 11 million tonnes per annum ("Mtpa"), which exceeds the planned capacity of 7.5 Mtpa. 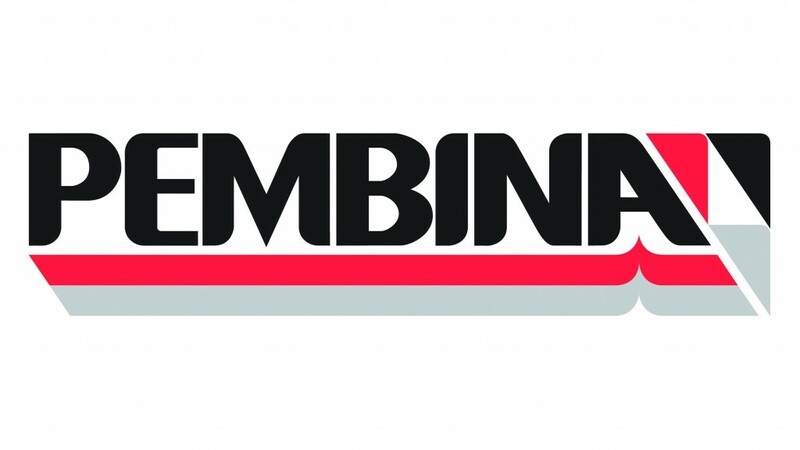 Pembina is working to conclude off-take agreements in the first quarter of 2019. Pembina continues to anticipate first gas in 2024, pending the receipt of the necessary regulatory approvals, a positive final investment decision and other requirements. On December 31, 2018, Pembina's Series F Convertible Debentures matured. At maturity, the outstanding principal of $1.6 million plus accrued and unpaid interest was settled in cash. Declared and paid quarterly dividends per qualifying preferred shares of: Series 1: $0.265625; Series 3: $0.29375; Series 5: $0.3125; Series 7: $0.28125; Series 9: $0.296875; Series 11: $0.359375; Series 13: $0.359375; and Series 21: $0.30625 to shareholders of record as of November 1, 2018. Declared and paid quarterly dividends per qualifying preferred shares of: Series 15: $0.279; Series 17: $0.3125; and Series 19: $0.3125 to shareholders of record on December 17, 2018.